In this lesson, we will learn how to identify and work with patterns of growth in tables and graphs. Determine which of the given functions has a greater rate of change. CThey have the same rate of change. Fares was 45 inches tall. After fifteen months, he was 54 inches tall. 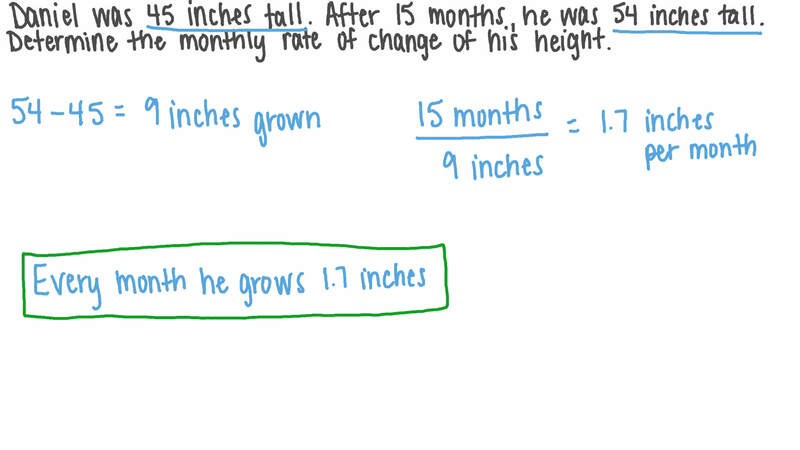 Determine the monthly rate of change of his height.